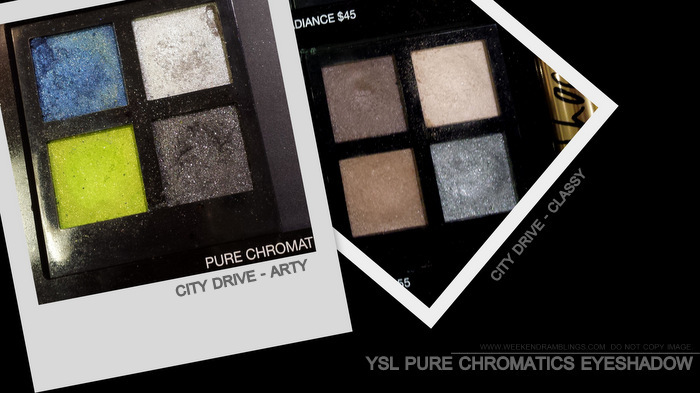 Electric hues and classic colors bring the YSL Fall 2013 Makeup Collection - City Drive - to life with looks that captures the alluring vitality of downtowns around the world and the thriving cultures that define them. The collection is inpired by the extreme and edgy city girl who pulses within the city. Inspired by the lights of the city and by the underground movements, she dares to wear Steel Chrome, Neon Green, Asphalt Black and Electric Blue for her eyes. 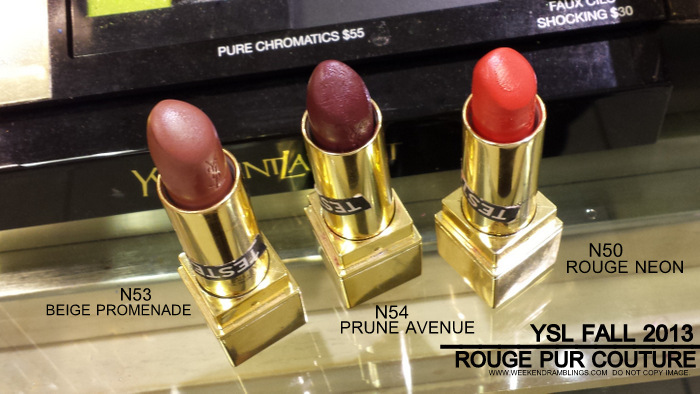 YSL Fall 2013 City Drive Makeup Collection - product photos taken in-store at Nordstom. Swatches taken under natural lighting. Eyeshadows swatched dry - no primer. 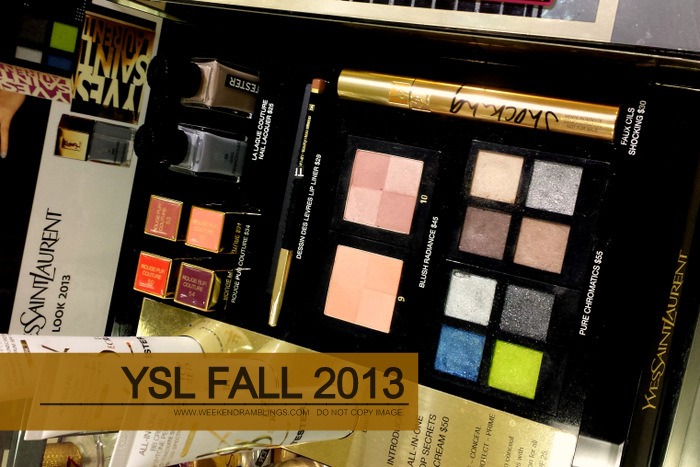 The collection also includes YSL Volume Effet Faux Cils Shocking Mascara in 08 - Asphalt Black ($30). Link provided for information only and is NOT an affiliate link. 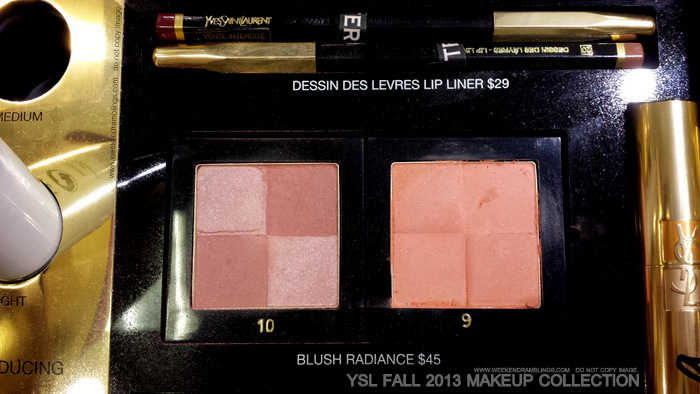 Love this collection, I am especially willing to try the strange quad with mustard color LoL.